Dr Lee Der-Horng (李德紘) is a professor at the Department of Civil and Environmental Engineering, National University of Singapore (NUS). Professor Lee was graduated with his PhD degree from the University of Illinois at Chicago (UIC) in 1996. Under the supervision of Professor David Boyce, Professor Lee’s PhD thesis was then the first attempt of formulating and solving a dynamic user-optimal (DUO) route choice model with the aim of experimenting with the test network of the ADVANCE Project (ADVANCE – The Illinois Dynamic Navigation and Route Guidance Demonstration Program). From 1996 to 1997, he was a research fellow at Oak Ridge National Laboratory (ORNL) where he participated in several US Federal Government ITS (Intelligent Transportation Systems) projects. In 1997, Professor Lee joined the Institute of Transportation Studies of the University of California at Irvine (UCI) as an assistant researcher. In his 2 years stint at UCI, he played the leading role in the project – California ATMS (Advanced Transportation Management Systems) Testbed. In September 1999, Professor Lee relocated to Singapore and joined NUS as an assistant professor at then the Department of Civil Engineering. Professor Lee was an Honoree of 2002 TR100 Award (now known as TR35) by MIT's Technology Review. TR100 is an award for World 100 top innovators under 35 whose work and ideas will change the world. From 2004 to 2006, Professor Lee served as the Director of Degreed Education at The Logistics Institute – Asia Pacific (TLI-AP), a collaboration between NUS and Georgia Institute of Technology (Georgia Tech) in the areas of global logistics and supply chain management. Professor Lee’s professional expertise includes Intelligent Transportation Systems (ITS), container port operations, aviation management, traffic simulation, transportation policy, regional and urban transportation planning, sustainable transportation and mobility. Professor Lee has published more than 250 referred journal papers, book chapters, books, and conference papers detailing his research activities. Abstract: Singapore is one of the city-states in the world with an acclaimed transport system that provides its residents with a variety of accessibility and mobility options. Integrated land-use and transportation planning had been playing a vital role in keeping it rejuvenated in accordance with increasing travel demand. Due to limited land availability coupled with increasing population density, public transportation continues to play as a major mode of commuting. Public transit systems in Singapore include a comprehensive range of public transport services, with Mass Rapid Transit (MRT) serving heavy traffic corridors, Light Rail Transit (LRT) complementing MRT as feeder services, and buses connecting residential land-use to all other land-uses. Despite adequate quantity of supply of transit infrastructure (train and bus systems) and efficient operation of public transport, private car ownership is still high in Singapore. The nation is moving towards a car-lite future with an aim of reducing reliance on private vehicles and hence, progresses towards creating a more sustainable and liveable environment that benefits the city and its communities in several ways, including mobility. Transforming a whole city to car-lite is obviously not a readily possible move. Systematic planning is needed at smaller components or sections as well; such as a residential town, a working zone or even small-scale communities with intense travel demand. Challenges remain for people who need to travel using more than one mode and hence, transfer between modes and, to visit locations within and across the towns (intra and inter town travel). It is therefore essential to seek for all-inclusive as well as new urban mobility solutions that can provide better connectivity for trip-makers and improved convenience in using existing public transport network. First and last mile connectivity and demand-responsive travel can potentially be handled now using autonomous vehicles (AV) and electric vehicles (EV). The presentation will cover items such as (among others): introducing Singapore’s move towards a car-lite society, discussing innovative mobility solutions at a town-based level and sharing some key techniques adopted in investigating a holistic mobility planning. Dr. Denis Gillet is currently a faculty member at the School of Engineering of the Swiss Federal Institute of Technology in Lausanne (EPFL), where he leads the React multidisciplinary research group. His current research interests include Human Devices Interaction, Optimal Coordination of Complex and Distributed Systems, as well as Cyber Physical Systems. In 1992 he was appointed as Research Fellow at the Information Systems Laboratory of Stanford University in the United States. During the academic year 2005-2006 he was on sabbatical leave as Visiting Scholar at the Faculty of Engineering, Chinese University of Hong Kong. Between 2011 and 2013 he was a Guest Professor at the School of Software Engineering, Tongji University. 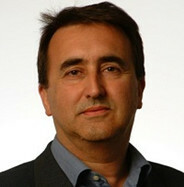 Denis Gillet is affiliated at EPFL with the Transportation Center and the Center for Digital Education. He is the technical coordinator of collaborative European research initiatives on Information and Communication Technologies. Abstract: In his presentation, Dr. Denis Gillet will discuss current trends in Intelligent Transportation Engineering. First, he will present innovative Mobility-On-Demand (MoD) scenarios relying on lightweight connected and autonomous vehicles to ease commuting in large pedestrian areas and intermodal hubs, including as an example an ongoing project to prototype autonomous luggage trolleys for the Geneva airport. Second, he will present recent results related to the implicit coordination between manned and unmanned cars at roundabouts to increase throughput and safety. Challenges related to adoption and ethics in the deployment of connected and autonomous vehicles will also be tackled. Prof. Monteiro Figueira is since 1990 the General Director of CEITConsultores Engenheiros em Infraestruturas de Transportes, a Portuguese consulting firm focusing on transportation, parking, mobility, traffic engineering and roadways and Senior Professor at the Universidade Lusofona (ULHT) in Lisbon. Prof. Monteiro Figueira consults on many projects regarding mobility and transportation in Portugal, Angola, Mozambique and Macao and is the author of books and articles on highway design and transportation planning. He is currently involved in different projects in Africa (Angola and Mozambique) for governmental departments. Prof. Monteiro Figueira worked at JAE - Official National Board of Highways in Portugal for thirty years and was a representative of Portugal at the European Commission in Brussels, at DG VII. He was a Professor for more than twenty years at the Technical University in Lisbon until 2000 and at Military Academy, until 1999. We all know that that we use those models to focus ONLY on automobile traffic. What is the legacy timing policies? Applied mainly at intersections we have prioritized vehicular movements, leading to large and sometimes unnecessary delay for pedestrians. Because pedestrian trips are short, delays at signalized intersections can affect pedestrians disproportionately and are a key factor in pedestrian non-compliance! So, how to decide on a control strategy? The choice depends on the operational objectives, with no one solution that fits all scenarios. Traditional signal timing practices often prioritize vehicular movements at signalized intersections, over other system users. However, an increase in non-motorized modes especially in urban areas had held to greater consideration of actual operating environment and incorporates the needs of all users. It is an equation impossible to solve and no one can find an answer to the problem if we do not change priorities and give preference to pedestrians in urban areas. There is little doubt that autonomous technology will have a major impact on ground transportation. The question is to know how pedestrians can benefit of this progress. Basically we want to make streets and roads safer for all users. So rather than designing and evaluating based on LOS for vehicles…we should start considering an evaluation system called: Level of Mobility (LOM) for people. We need to create a good environment to bring people for walking, feeling safe and having fun…. During this presentation we will bring good examples how to attract people to the streets and using walking modes instead of private cars. Professor Nicholson holds a Bachelor of Engineering (Hons), a Master of Engineering and a Doctor of Philosophy in Civil Engineering, awarded by the University of Canterbury (New Zealand). He also holds a Master of Science in Transportation and Traffic Planning, awarded by the University of Birmingham (United Kingdom). He worked for six years as a Civil Engineer, before joining the University of Canterbury in 1981. He was Director of the Transportation Engineering Programme for 15 years (2002-2016) and was Head of the Department of Civil and Natural Resources Engineering for five years (2005 to 2009). Professor Nicholson has twice been awarded a Visiting Fellowship from the UK Engineering and Physical Sciences Research Council, to undertake research at the University of London Centre for Transport Studies, University College London (1993-1994) and the Transport Operations Research Group, University of Newcastle upon Tyne (2001). He has 28 years’ experience advising various Government authorities in New Zealand on transport research, and has been an expert advisor to the Australian Research Council, the Natural Sciences and Engineering Research Council of Canada, the Israeli Ran Naor Foundation for the Advancement of Road Safety Research, the Netherlands Organisation for Scientific Research and the Qatar Foundation’s National Research Fund. Professor Nicholson has reviewed papers for sixteen International Journals, including Transportation Research A, Transportation Research B, Accident Analysis and Prevention, Transactions on Intelligent Transportation Systems, Journal of Intelligent Transportation Systems, Journal of Advanced Transportation, European Journal of Operations Research, European Journal of Transport and Infrastructure Research, and Physica A: Statistical Mechanics and its Applications. He was for eight years a member of the Editorial Advisory Board for Accident Analysis and Prevention, and has since 2013 been a member of the Education Advisory Board of the UK Institute of Risk Management. He has been a member of the International Scientific Committee for the International Symposia on Transportation Network Reliability since 2001 and a member of the International Scientific Committee for the International Symposia on Transport Simulation since 2008. Professor Nicholson’s research interests include transport network reliability, transport risk management, transport planning and modelling, and road safety. He is the author or co-author of over 150 peer-reviewed papers in International Journals, Proceedings of International and National Conferences, and chapters in edited books. He has been an invited keynote speaker at over ten international conferences in various countries, including Australia, China, Italy, Jordan and Syria. He has been a Fellow of the New Zealand Institution of Professional Engineers since 2000. Abstract: There has in recent times been rapidly growing interest in innovative technologies to improve transportation systems, including advanced traffic management technology for real-time traffic management, and advanced vehicle technology (i.e. autonomous vehicles) to improve traffic safety. The use of innovative technology has been promoted by technology suppliers (e.g. vehicle manufacturers) and advocacy groups (e.g. the Intelligent Transportation Society of America), with claims of very large benefits. However, there have in the past been quite a few instances of innovative technologies, widely heralded as solutions to transportation problems, failing to fulfill the claims of their promoters or having unexpected and unintended adverse effects. It is argued that intelligent transportation engineering involves much more than simply adopting the latest technological innovations. It requires one to clearly identify objectives, then to identify options with high potential for achieving the objectives, then to appraise those options thoroughly (including anticipating future problems), then to select and implement the best option, and finally to recognise uncertainty in estimates of the impacts of options (including the potential for ‘optimism bias’) and to evaluate the implemented option thoroughly, to facilitate evidence-based decisions in the future. Recent research on the effects of autonomous vehicles (private and shared) on road network capacity, urban form, travel behaviour and traffic safety, will be reviewed. Legal liability issues (civil and criminal) and ethical issues will also be discussed. It will be argued that intelligent transportation engineering requires a more discerning approach, recognising the hype and vested interests associated with some options, the importance of basing decisions on evidence rather than ideology, and the scope for achieving objectives via good existing low-technology options. In addition, transportation engineers should be active in setting objectives and specifying what is needed to achieve them, and not just passive recipients of innovative technology. Dr. Huaqun Guo is Senior Scientist and Programme Head of IIoT Security at the Institute for Infocomm Research (I2R), Agency for Science Technology and Research (A*STAR), President of International Researchers Club, and Chair of IEEE Intelligent Transportation Systems Society Singapore Chapter. Before joining I2R, she was a senior research staff at National University of Singapore (NUS) and a senior engineer at Kent Ridge Digital Labs (KRDL). She was also Chair of IEEE Singapore Women In Engineering (WIE) Affinity Group, and chair of IEEE Broadcast Technology Society Singapore Chapter. Dr. Guo obtained her B.Eng and M.Eng from Tianjin University, and her M.Eng and PhD from the National University of Singapore (NUS) respectively. She has published more than 60 referred papers in the international conferences, journals and books. Dr. Guo has served as general chair, general co-chair, program co-chair, and TPC member for more than 30 international conferences. Her research areas include Network and Communication Security, Cyber-Physical System Security, Industrial Internet of Things (IIoT) Security, Multicast, Vehicular Network, and Communication System. Abstract: The security, safety, and reliability of metro systems are crucial, especially for city with dense population. However, with metro systems increasingly reliant on their “cyber” components, cyber-attacks have posed great thread in catastrophic disruption and damages. The advanced, and often complex, features that make these cyber-physical systems intelligent also make them vulnerable to attack by malicious agents. For metro systems, existing security technologies from the computer and network security domains are inadequate. They are unable to address the inherent complexity due to both the coupling of cyber and physical components and the interactions between various sub-systems and humans. This presentation will talk about various security technologies which take a cyber-physical approach for securing metro systems. Copyright © 2018. International Conference on Automotive and Vehicle Engineering (ICAVE2018) | All rights reserved.